IMPORTANT! Watch this ENTIRE VIDEO now for registration information and to learn about the extra bonuses. Registration information will appear in the middle of this video. as a guitarist and finally take your playing to a higher level. [text_block style=”style_1.png” align=”left”]Are you frustrated with your guitar technique? 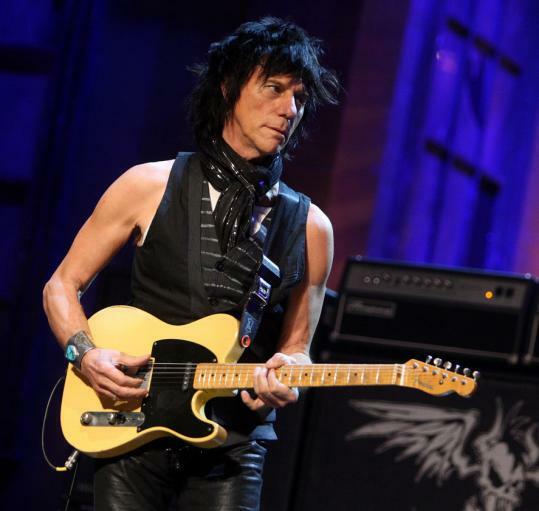 Do you wish you could solo fluidly and create your own guitar arrangements? Has your playing hit a plateau? Would you like to be able to improvise effortlessly at jam sessions? You’ve bought the DVD’s, read the method books and watched countless ‘how-to’ YouTube videos but your playing is still stuck in a rut. To achieve mastery of the guitar you have to develop both the craft and the art. 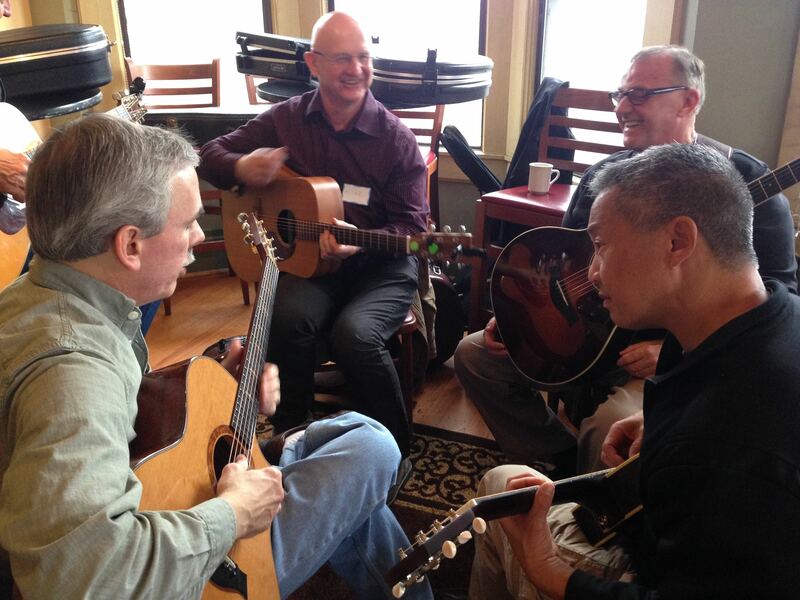 Most guitar teaching programs only cover a little of the former and none of the later. So it’s no wonder you find it hard really achieve the level of fluidity and self-expression in your playing that you know is possible. If you can relate to any of this, we have the solution. The Secret To Learning Guitar!! [text_block style=”style_1.png” align=”left”]The Guitar Mastery Program looks to dramatically speed up your guitar technique (craft) as well as giving you the ideas and simple frameworks to make you a more expressive player (art). At this point we need to let you into a bit of a secret! If you see, hear, collaborate and actual do it you’ll remember 50%-80%. [text_block style=”style_1.png” align=”left”]Imagine what it would be like to come up with musical ideas and instantly play them on the guitar? 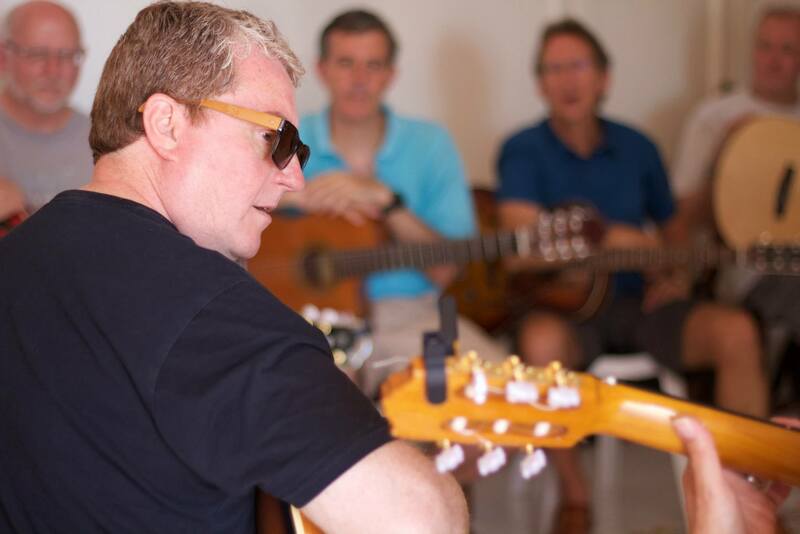 Three-Day Immersive Guitar Retreat – This deep-dive live event will take your playing to a new level as you’ll learn directly from Martin in a series of workshops as well as applying what you learn in break-out and jam sessions with your fellow students. Six-Week Online Course – In this online precourse you’ll gain a comprehensive understanding of the six essential skills so that you’ll be equipped with the right foundations to develop greater confidence in your playing. Bonus Materials – The program also includes bonus live online masterclases with Martin, special online courses from guest teachers, exclusive videos and access to a worldwide community to likeminded guitarists. The Next Guitar Mastery Retreat… LONDON! [headline style="1" align="center" headline_tag="h2"]The Next Guitar Mastery Retreat… LONDON! 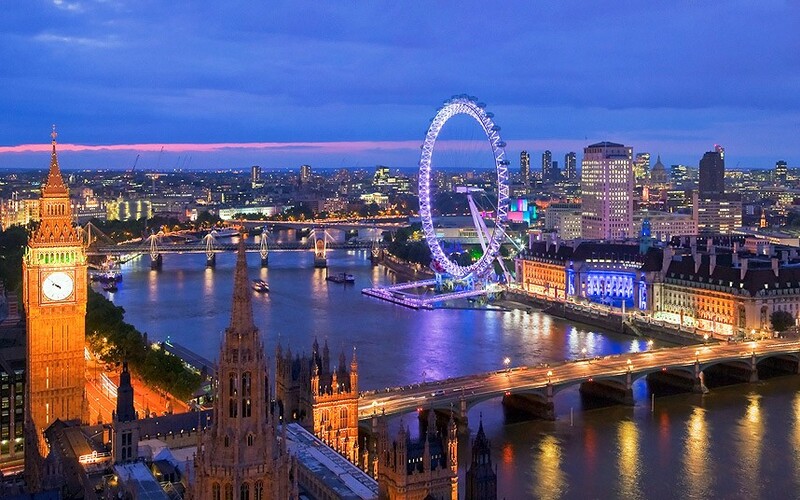 London – the location of our next Guitar Mastery Retreats! YES, I understand that spaces are limited so it’s important that I act now before public registration closes for the rest of the year! YES, I understand the Guitar Mastery program includes one (1) ticket to the Martin Taylor Guitar Mastery Retreat in London in 2016. I understand my ticket of $2000 has been waived, but I will have to pay a one-time refundable $97 materials and registration fee to hold my seat. I understand I will receive registration information for the Retreat when I purchase the Guitar Mastery Program. YES, please enroll me in the 6-week Martin Taylor Guitar Mastery online precourse (valued at $1,000). I understand this comprehensive precourse is a 6-week deep-dive training on how to become a better acoustic, fingerstyle or jazz guitarist and will help me prepare for the guitar retreat. I understand I will learn the methods, techniques, and tips for taking my guitar playing to the next level: — Week #1: basics — Week #2: scales — Week #3: melodies — Week #4: arranging — Week #5: improvisation — Week #6: performance. I also understand that I can proceed at my own pace as I can access my training anytime I want for life! BONUS #1: OUR DJANGO FAVORITES. (Valued at $500). This incredible gypsy jazz guitar online course from Martin Taylor and Robin Nolan, delivered online immediately, includes over eighty (80) awesome video lessons that will help me learn how to play authentic Django Reinhardt style guitar. BONUS #2: MUSIC BUSINESS CRASH COURSE. (Valued at $500). This bonus program from James Taylor of Music Business Institute will teach you how to get gigs and market your music. 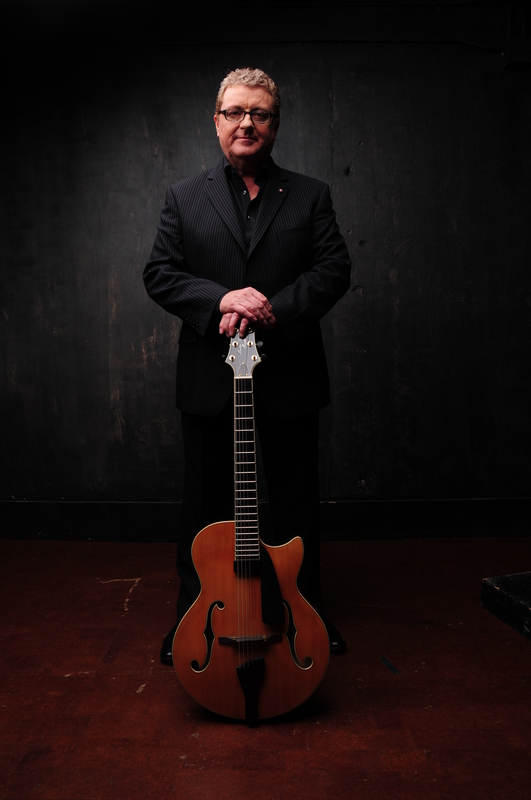 I understand I receive access to this training six-week after purchasing the Martin Taylor Guitar Mastery Program. BONUS #3: LIVE MASTERCLASS SERIES! (Valued at $500). As part of my Program membership I’ll also be able to take part in a series of live online masterclasses with Martin. BONUS #4: 12-MONTH ACCESS TO “ASK MARTIN ANYTHING FORUM” (Priceless). 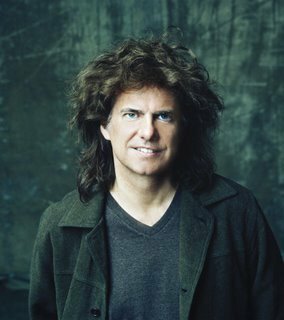 I’m excited to get access to Martin’s online forum where I can ask Martin ANY questions I have about his method or music anytime for 12 full months after I register. BONUS #5: EXCLUSIVE VIDEOS! (Priceless). I’m excited to also receive exclusive access to videos filmed live at Martin Taylor’s previous guitar retreats where he covers key concepts from Guitar Mastery. Special Bonus Announcement from Martin! [op_liveeditor_elements] <div class="row element-container cf " >[op_liveeditor_element data-style=""][text_block style="undefined" align="left"]"I didn't announce this in the video. I just wanted to begin our relationship surprising you and over-delivering with value. So, I'm including downloads to two of my recent albums (Solo and Double Standards) and previously unseen live concert footage. You get to access it all RIGHT NOW when you order! I'm also going to send you another FREE GIFT in the mail, so be sure to enter your shipping address below. Surprise! Enjoy!" And you’ll get it all today for just one payment of $1,997 or three monthly payments of $697. That’s right, you can start learning on this Program from just $697 down. Try It Risk Free: We offer a 30-day money back guarantee on the Guitar Mastery Program. So if you are not completely happy within the first 30 days of your purchase just let use know for a full refund. A.The Martin Taylor Guitar Mastery pre-course is a six-week online course that starts as soon as you enroll. The idea of the course is to give you a foundation of knowledge and techniques so you can get the most from the three-day retreat. You will get access to a members-only website and each week new video lessons will be released. In total you will get access to 50+ HD video lessons that are only available to Guitar Mastery students. Q.Can I buy the course on its own? A.No, the course and retreat are intended to work together to provide you with a blended learning experience. 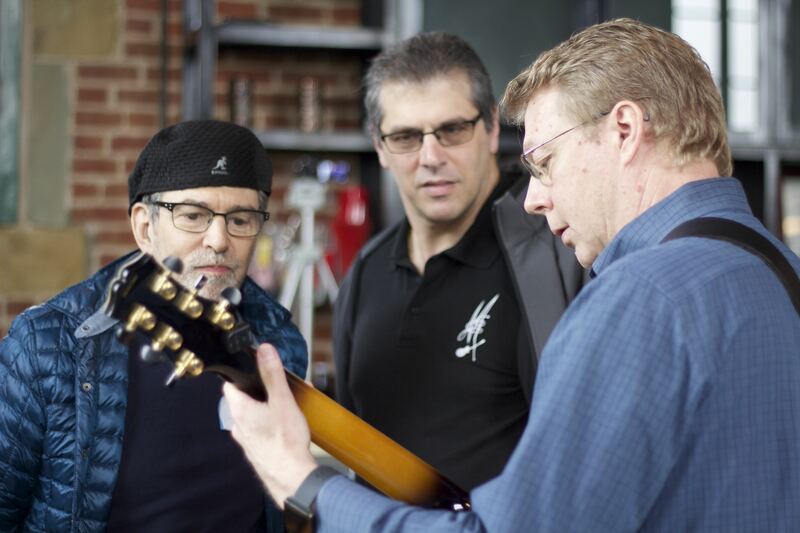 The course will teach you the various techniques and concepts while the retreat will allow you to go deeper by learning directly with Martin as well as collaborating and jamming with other fellow students. 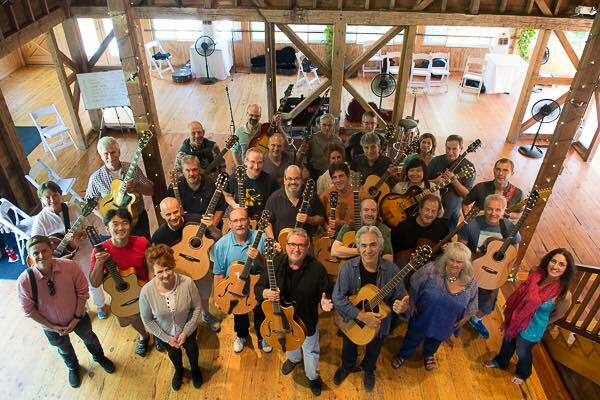 Q.Which of Martin’s Guitar Retreats can I go to when I purchase the Guitar Mastery Program? 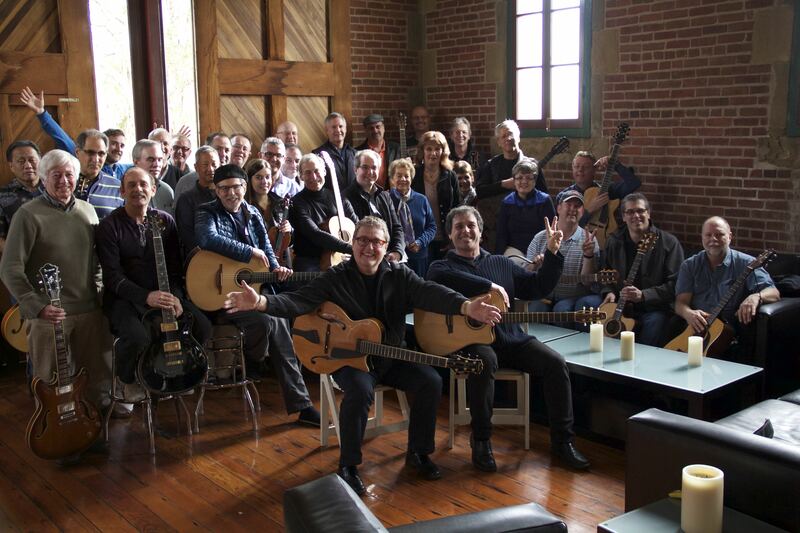 A.Your Guitar Mastery Program purchase entitles you to one (1) ticket to any of Martin’s ‘Guitar Mastery Retreats’ worldwide. The next one will be in London in July 2016 and you’ll receive all the details on that once you enroll on Guitar Mastery. 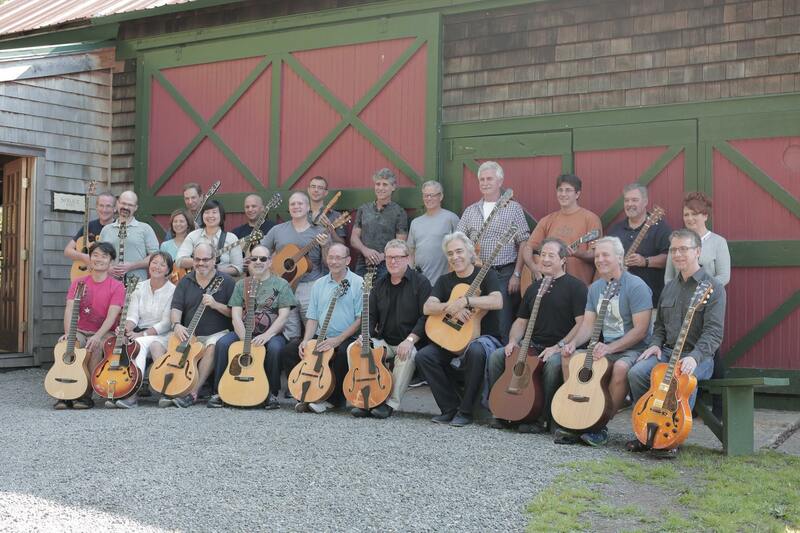 Please note your ticket does not entitle you to attend the all-inclusive Martin Taylor Guitar Retreats in Benicia, New York or Italy. 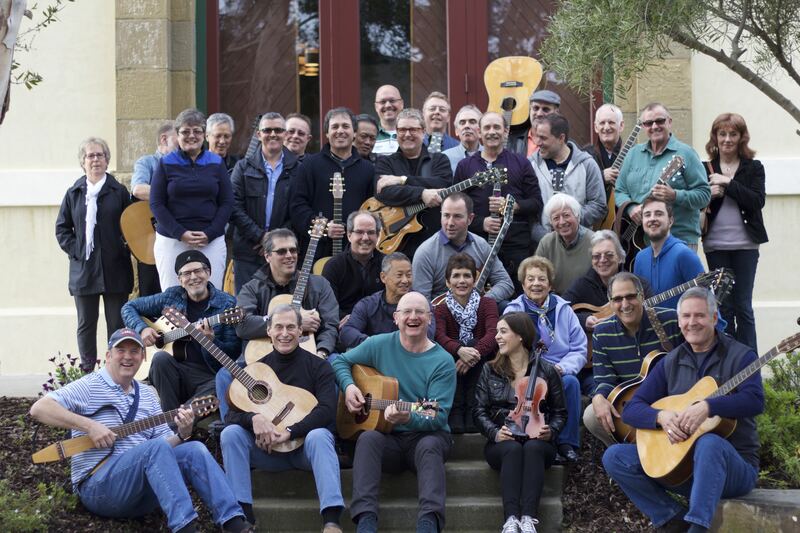 A.Accommodation is not provided at our 3-day Guitar Mastery Retreats. We will however provide you with a list of hotels and guesthouses nearby where the Retreat classes will take place. You’ll also receive an info pack for the Retreat that includes information on airports, taxi firms, public transport, restaurants and more. 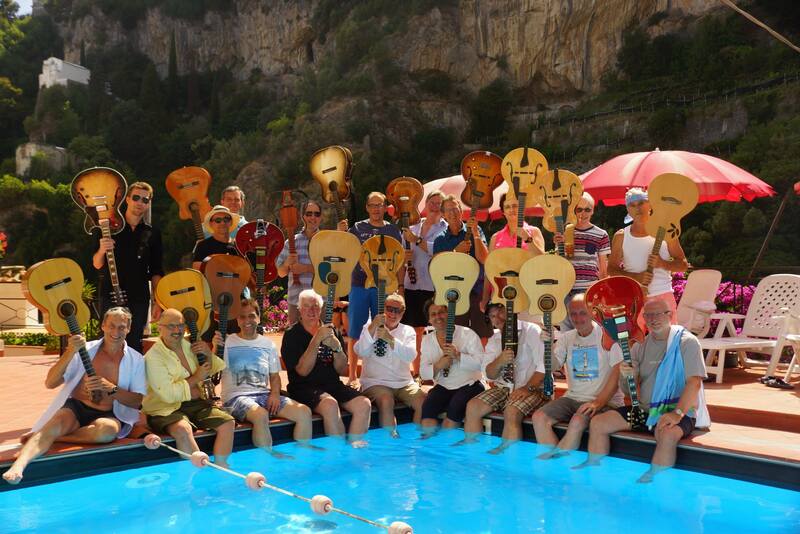 Q.What are the dates for the next Guitar Mastery Retreat? A.The next retreat will happen on the 27th, 28th and 29th July 2016 and will take place in the heart of London, England. Full details of the Retreat location will be emailed to you upon registration. Q.Can I rent a guitar? A.Yes, if you don’t wish to travel with a guitar then please contact liz@martintaylor.com who can put you in touch with local music stores. Q.When should I plan to be there? A.Since all three days will be full-day trainings, and we typically go over time with jamming and Q&A’s, we highly recommend that you fly in the day before and fly out the day after so that you don’t miss anything. Q.When will we receive the daily schedule? A.We will email you the daily schedule six weeks in advance of the Retreat start date. On that schedule we’ll have details of the topics that Martin will teach plus info on any surprise guest instructors! Q.Why is there a $97 deposit required? A.Seats are limited and if you do not show up, you’re taking a spot from someone else that could have been there. When you show up to the event, your deposit will be refunded. If you do not show up to the event, your deposit will be forfeited due to expense incurred we still had to cover. Q.What if I paid the deposit and now cannot attend? A.You can get the deposit refunded up until 6/15/16. After that, we cannot refund your deposit because we will not have time to refill your seat. If you cannot make it and/or want to transfer your ticket to someone else, you must contact our Customer Care Team so they know who to change the ticket over to at support@p3music.com. Q.Can I bring a guest/assistant/spouse/etc with me? A.Absolutely, you can purchase a non-participation ticket for $97. They must have a deposit put down as well in order to attend. Details about how to also purchase a non-participant ticket will be emailed to you once you register. Q.What should I bring with me? A.We recommend bringing your guitar, notebook, pens and small snacks to hold you over. A.We will have light refreshments, but Breakfast, Lunch and Dinner are NOT provided. The venue has a cafe and restaurant and there are many great restaurants that you can walk, drive or Uber to. It’s London…one of the great food capitals of the world! Q.Will the Retreat be recorded? What if I don’t go – can I still watch the recording? A.Yes, the content sections of the Retreat will be recorded, but the hands-on Workshop and jamming time will not be posted, simply because it’s a room full of people talking, working and playing. Q.Can you suggest hotels near the Retreat venue? A.Yes and you will be given that information once you make your deposit. The hotels we suggest are all near where the Retreat classes and jam sessions will be held. Q.What if I have a question not listed here? A.If you have additional questions, please contact Liz at liz@martintaylor.com. She is available to help you.